Yoga and Christianity have come into an unlikely correspondence, sparking reactions throughout the Christian community. Some say a regular yoga practice can bring you closer to God, whereas others disagree. The latter claim the yoga industry has duped the Christian community into buying its product, which holds strong roots in Hindu religion. Some Christians even state the Sanskrit and chanting are religious prayers, practicing yoga undermine your faith. In fact, in a recent survey by Evangelical Alliance, 50% of evangelicals said Christians should never do yoga. So is yoga already a religion? Many people’s understanding of yoga is that it stems from Hinduism, and whilst it is true that it is if affiliated with Eastern religions such as Hinduism and Buddhism, the modern practice of yoga holds almost no religious connotations. Yoga may use Eastern symbols and ideologies, but it proposes no Gods, saviors or Deities. At its most basic level, yoga is used for fitness. It builds strength, increases flexibility and prevents injury. However, yoga also exists as a science, a philosophy, and a spiritual and physical practice. As a science it uses breath work combined with mindful movements to calm the nervous systems, relieving stress and anxiety. The philosophy of yoga directs the practitioner deeper into their human experience, it exists of 8 limbs which encourage an increased sense of self-awareness. As a holistic health practice, yoga nurtures spiritual and physical well-being by promoting the integration of the mind, body, and spirit. 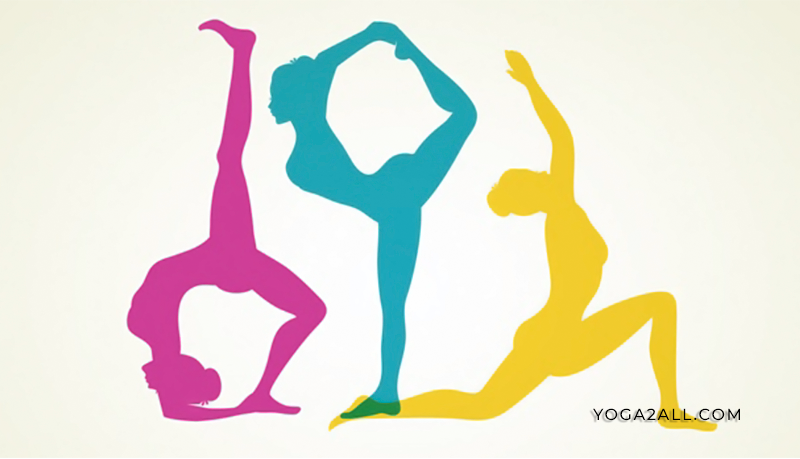 The word ‘yoga’ in its classical use, means to ‘yoke’, or ‘union’. This refers to the union of all aspects of our lives, including our inner and outer worlds, our relationships and our work lives. In this sense, yoga can be used by all – religious or not – to develop harmonious living and happy relationships. Many Christians fear that by practicing yoga they are undermining elements of their own religion. But as yoga has now transcended its religious origins, it can be adapted by all religions to balance the mind and calm the nervous systems. Christians have the opportunity to take from yoga what makes sense to them. Through intention and prayer, they can use yoga to deepen their own faith and bring them closer to God. In fact, yoga and Christianity share many common practices. Love: Both Christianity and yoga talk about the concept of unconditional love and love without attachment. In Christianity, unconditional love will bring you closer to the divine as you expect nothing in return, whereas in yoga, unconditional loving of yourself and others leads to forgiveness and harmony. Loving without attachment puts you in an objective state of mind, free of expectations and hang-ups. Being of Service: Jesus famously said: “I came not to be served, but to serve”. Both yoga and Christianity believe that being of service, un-fuelled by the ego, is crucial to spiritual development. Wisdom and Exploration: Philosophy runs deep through yoga and Christianity. Practitioners are constantly encouraged to reflect on themselves and their own lives. Both act as an exploration of reality, pursuing meaning and truth throughout existence. Prayer and Meditation: Traditionally, yoga was used to prepare the body to sit in meditation without physical or mental discomfort. It can be used in a similar way, in religious settings, to prepare the body to kneel in prayer. Christian yogis understand that it is not the physical practice of yoga that can lead you away from God, it is the spiritual teachings that go with it. However, due to the overlaps between yoga philosophy and Christian teachings, classes held in a holy environment and taught with Christian spirituality can actually deepen the connection with the divine. Christians believe that everything should be done in service of God, and that includes exercise. Christian yoga acknowledges the link between the human body, the spirit, and God and in turn, uses the philosophy behind the physical practice to further understand their relationship with their religion. Modern yogic philosophy is composed of 8 limbs, the first two of these are the Yamas and Niyamas, which BKS Iyengar calls “universal moral commandments”. The Yamas, which are our external observances, are; non-violence, truthfulness, not stealing, moderation and using your energy in the right ways. The Niyamas – our internal observances – are; purity of action and thought, devotion to the divine, contentment, self-awareness and discipline. These yogic teachings can work alongside and support the 10 commandments of Christianity. They are essential to understanding yoga as a spiritual path, and not one that has other religious commitments. 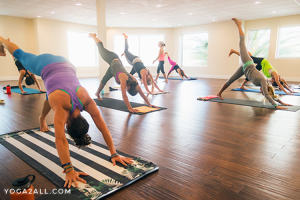 This moral code is what sets yoga apart from just a form of physical exercise. If looked at from a Christian viewpoint, the Yamas and Niyamas can help to foster a new appreciation of traditional teachings by highlighting overlaps and common truths. Yoga has been used in the Eastern religions of Hinduism, Buddhism, and Jainism, so why not also bring its benefits to Western religions? The use of yoga in Christianity is a cultural exchange between the East and the West. The thing that makes yoga so unique is that it can be used by many different individuals from a variety of religious or philosophical backgrounds. It gives people a way to deepen their beliefs using their bodies, breath and conscious exploration. In religious settings, yoga can be used to promote connection to the individual, to each other and to the divine.